Connecting multienterprise networks starts with the ability to execute business processes across a collaborative ecosystem. TESISQUARE® has been named a Challenger in the Magic Quadrant of Multienterprise Supply Chain Business Networks, the first-ever edition research report released on November, 2018. As a result of the evaluation process including 12 vendors, TESISQUARE® positioned in the Challengers Quadrant for the ability to execute. Insights on Information hub and visibility. Key strengths and cautions for each vendor. 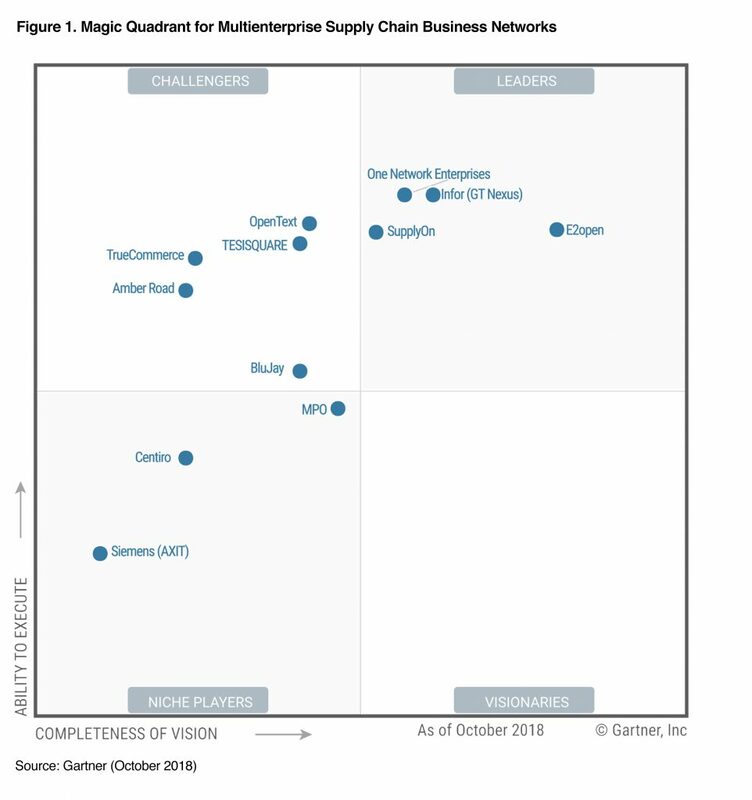 *Gartner Inc., Magic Quadrant for Multienterprise Supply Chain Business Networks. Christian Titze, William McNeill and Bart De Muynck, 15 November 2018, rev. 26 November 2018. **This graphic was published by Gartner, Inc. as part of a larger research document and should be evaluated in the context of the entire document. The Gartner document is available upon request from TESISQUARE®.